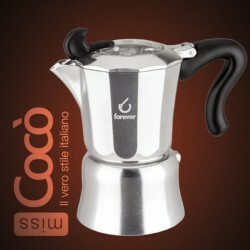 Stovetop coffee brewer made by italian brand Forever - Miss Coco. It's made out of aluminium and is suitable for use on gas, ceramic and electric hobs. Makes 3 cups of flavourful coffee. 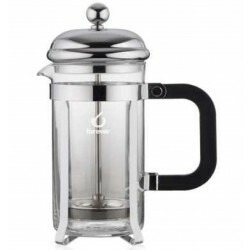 High quality French-Press made by italian brand Forver. Has a classy look and made to last. You will be amazed by the ease of use. Available sizes: 350 and 800ml. 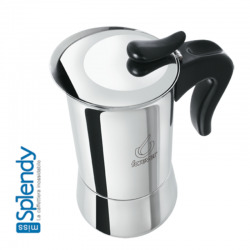 Stovetop coffee brewer made by italian brand Forever - Miss Splendy. It's made out of satin stainless steel and is suitable for use on gas, ceramic, electric and induction hobs. Available in different sizes. 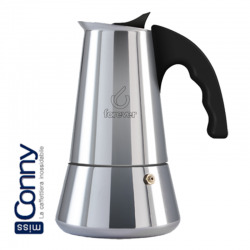 Stovetop coffee brewer made by italian brand Forever - Miss Conny. It's made out of stainless steel and is suitable for use on gas, ceramic, electric and induction hobs. Has wide bottom that makes it easier to use on small burners.